$3.99Halloween Plastic 16 oz. Party Cup 25 Ct. Imagine this. You've decided to head to your friend's Halloween party. You've already decked yourself out in one awesome costume. You're going to win the costume contest for sure. But, there's just one little problem you didn't foresee. You're completely parched and there's a bowl full of refreshing, ice cold, fruity flavored punch... and there are no more glasses left for you to use! The other guests have used them all. What do you do? Do you just go for it and dunk your face right into the bowl so you can slurp up a drink? That's a bold move that your friends might not really appreciate and you might even get punch all over your costume doing that. What if you were already prepared for this kind of problem? 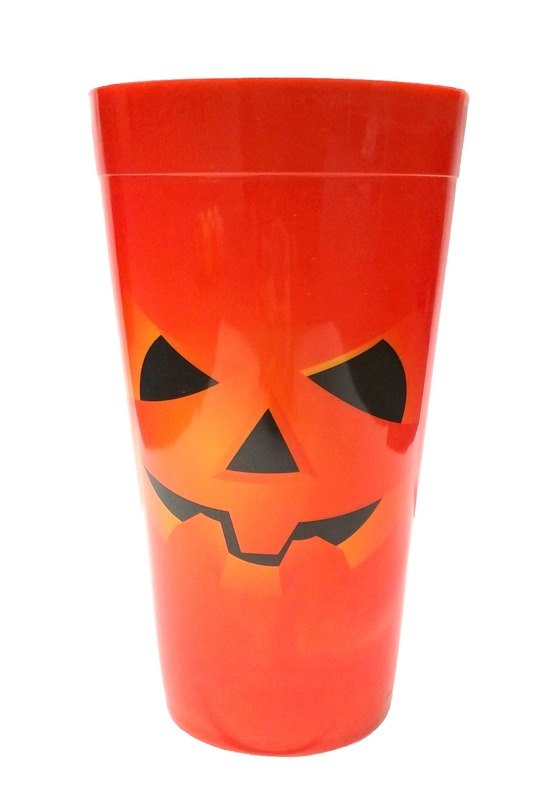 What if you had brought a perfect Halloween party cup with you for just such an emergency? Introducing this Orange Pumpkin party cup. It's made out of sturdy plastic to endure most party situations. It comes with a Jack-o-Lantern design on the exterior, making it a Halloween must-have. It also has a 20 oz. capacity, so you won't have to hover around the punch bowl all night, constantly refilling it! This Halloween themed glass is just one more way you can be fully prepared for a completely awesome time this Halloween.